Do you have any specific needs – such as pressure care? The perfect wheelchair demands more than just the right features – it’s all about the fit. A poorly fitting chair can lead to discomfort, reduced independence, and the potential for injury – things we hate seeing. Below you will find some questions that will help guide you towards what you might need to look for in a chair (and if you’re just starting out it’ll help you navigate our website’s product filter too) but our number one piece of advice is to think about ordering a new wheelchair in the same way you would a tailor-made suit…. ALWAYS get accurate measurements taken! 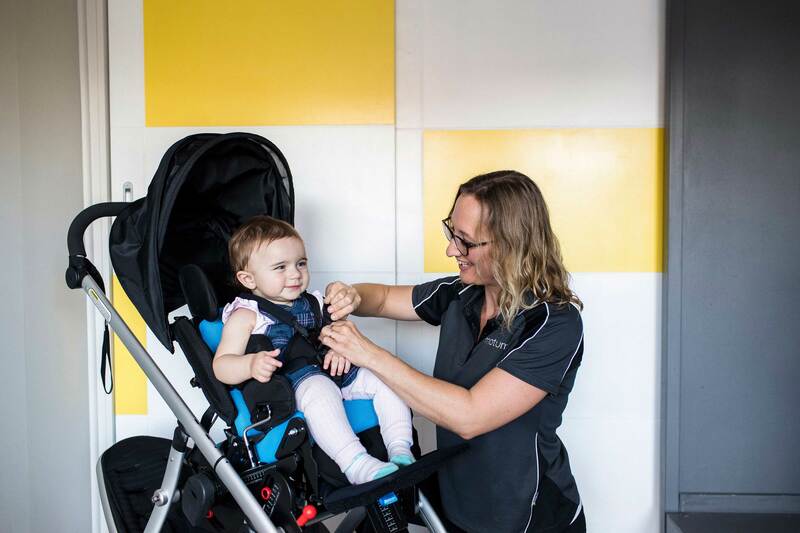 This is where Motum is different to other mobility equipment suppliers – we’re owned and run by therapists so are experts in anthropometric measurement and factoring in relevant medical and functional information plus, we know our product range inside out so we can clinically prescribe the right chair. Get in touch to find out more. How regularly do you need to think about updating your wheelchair? As soon as you experience any signs of discomfort, we recommend that you speak with your regular therapist or give us a call. It might be that your existing chair needs some fine tuning – or it might be that you need a new chair. Are you going to be pushing the wheelchair yourself or will someone else be pushing it for you? Self-propelled chairs have larger wheels with special pushrims that make it easier for the user to push themselves, whereas attendant propelled chairs often have smaller wheels at the rear of the chair, typically making pushing by the user hard-to-possible! Most wheelchair users fall into one of these categories but the good news for those who want the best of both worlds is that there are a few models available designed perform well in both modes – we find these especially useful for children. How are you going to be transporting the wheelchair? For example, does it need to fold down so it will fit into the boot of a small car? Manual wheelchairs can be broken down in to two categories – folding frame and rigid frame. Folding wheelchairs have the advantage that they are good for fitting into small car boots. The disadvantage is that they are often heavier than rigid frame chairs. They are also often not as desirable for clients who self-propel as the frame is more prone to flexing and moving during use. Something to consider is that many rigid framed chairs can actually fold down to quite a compact size once you remove the wheels and fold down the backrest. Are you going to be sitting in the wheelchair whilst travelling from A-to-B in a vehicle? If so then you’ll need a wheelchair that has passed the appropriate crash test and is approved for use in vehicles – almost all of our chairs offer this as a standard. You will also need a headrest fitted to the seating system. Where are you going to be mainly using the wheelchair and what activities are you planning to do in it? How confident are you in a self-propelled chair? Customising chairs to the person is so important – it can be the difference between feeling confident and secure or apprehensive about venturing out. Add-ons like anti-tippers can be added to most chairs to reduce the risk of tipping backwards, however, if you’re a more active user you may actually be looking for a chair that offers a bit more ‘tip’. Some chairs also feature an adjustable axle, ensuring that we can set the chair up to perfectly suit you. How much time each day do you anticipate spending in the wheelchair and do you have any special seating requirements? The answer to this varies from person to person – some of our clients only require a wheelchair for occasional use (trips to the shops etc); while others will move between a chair and standing or walking frame or hi low base throughout the day, while others will spend large portions of their time in a chair. Postural assessments are important – these identify any potential issues and will provide the information needed to ensure that you are seated comfortably. Often the addition of pressure relieving cushions, a more supportive backrest or pelvic belt can dramatically improve a person’s posture, and, in turn, their comfort. There are plenty of off-the-shelf solutions available, but it’s also possible to create seating support that is fully customised to an individual’s body shape (we’ve got the 3D scanning technology to do this in-house too). Tilt-in-space wheelchairs are a really good option for people who can’t shift their body weight independently. The tilting capability helps with pressure management; can make breathing easier; and help with feeding amongst other things. How will you be transferring into the wheelchair? Are you likely to want some sort of power assistance or all-terrain capabilities? While these devices can be retrofitted to a chair it’s often much more cost effective to order your wheelchair so that it’s ready to take these items – and it’s less hassle for you too in the long run. Do you want a child’s chair that will last for an extended period of time? Kids grow – and sometimes they grow quickly. Remember what we said about needing to ensure that wheelchairs are all about the fit? The good news is that many of our children’s wheelchairs come with built-in growth. Our SORG and Anatomic Sitt chairs are great examples of these. Almost all wheelchairs have set weight limits. In most cases this is most relevant for older children and adolescents. The majority of adult chairs typically have a maximum weight limit of between 100 and 150kg. You can find all available weight limits on our product pages, under Technical Information. Do you also need to take any medical equipment with you (such as a ventilator, oxygen etc)? Brands such as SORG and Wolturnus, which custom build chairs also offer an extensive range of accessories such as oxygen holders. Where possible it’s always better to design a chair with these features built in, rather than add it on later. When it comes to sitting comfortably, it’s important to consider the value of high quality, correctly sized cushions. And, believe it or not, the right cushion choices don’t just come into play when you are sitting – it also influences how easy transfers in and out of wheelchairs will be, as well as the smaller details, like whether you’ll have sufficient clearance under tables. Cushioning can be a bit of a mine field, with lots of different brands and styles readily available. When we prescribe cushioning for clients there are some straightforward things we check before making our recommendations, but even then, it can sometimes also take a bit of trial and error to get right. Here’s a bit of a how-to-guide on cushions – but remember, we’re always happy to help so feel free to give us a call on 9381 2087. How do you know which type of cushion to choose? The material/s the cushion is made from – this might be foam, gel, air or a combination of these – each offers different properties depending on what you might be looking for. The cover- this needs to have enough elasticity in it so that you can conform to the shape of the cushion and maximise the contact with the cushion surface. If incontinence or regular spills need to be considered there are special solutions available. And if temperature regulation is an issue there are solutions for this too. The shape of the cushion and how this matches the shape of your bodyIf the aim is to maximise surface area contact and promote even weight distribution, the shape of the cushion can help – for example if the cushion is contoured to the body shape (not flat) this can improve surface area contact.It may also be that your body shape is not symmetrical, or your pelvis does not sit evenly on the surface of the cushion. In this instance it may be useful to have a cushion shaped to either match your posture. For example, it may have additional height built up just on one side to accommodate the position of your pelvis.Cushions can also be made to counteract body forces and movements to gain more postural control. In this case the cushion is constructed so as to actively promote improved sitting positions. In these types of situation we usually find some kind of pelvic support (usually in the form of a pelvic belt) is essential. It’s not a case of what is best, it’s a case of what is best suited! Foam cushions can use a combination of foam densities from firmer to softer to offer stability and integrity underneath a softer sitting surface to help with conformity and comfort. Gel conforms to bony prominences and moves with body, but often works better in partnership with foam to protect against ‘bottoming out’ and reducing the overall weight of the cushion. It also allows for shaping to occur within the cushion that can assist with postural control and stability. Air often offers excellent pressure redistribution but some people can feel unstable on an air cushion. Some cushions therefore combine air and foam to provide excellent pressure relief in essential areas whilst offering some stability for transfers or pelvic positioning. How can you make sure that the cushioning is the right fit? The cushion needs to fit into your wheelchair, however it also needs to fit your body shape. It is best if you are not sitting on the edges of the cushion. Also, if there is anatomical shaping to the cushion these need to match your body shape and size. When it comes to length, there is a just right fit, and usually that is a 2-5cm space from the back of the knee to the front of the cushion. Getting the right fit is really important to making sure you are well supported and able to maximise the benefits of the cushion. If the cushion is too long it may press into the back of your knee and make your legs uncomfortable. A cushion that is too long may over time encourage you to slide forward in your seat, resulting in your pelvis going into posterior tilt which consequently can make your back/bottom uncomfortable and, in the worst-case scenario, lead to pressure problems. This posture also means you will be predominantly sitting on your sacrum (something it is not designed to do! )/ If the cushion is too short you may not distribute the body weight evenly through the thighs and put too much pressure through the sitting bones. Again this increases the risk of developing pressure problems. How can you tell if your cushioning isn’t right? If you are experiencing discomfort, or the cushion does not feel the same as it did when you first started using it then it may be time for a review. Also if you have had a major change in weight, surgical intervention, a change in postural positioning, a pressure injury, a change in wheelchair use or a change in transfer methods then you may need to check that the cushion you are using is matching to your new circumstances. How frequently should you update your cushioning? Some cushions are low maintenance and do not need to be checked as regularly, whilst others need resetting every day or every other week. When deciding on the right cushion for you make sure the maintenance, care, and set up requirements are a match for you, because if the cushion is not used correctly it can potentially do more harm than good. It is also worth knowing the shelf-life of the cushion and when it is likely to need replacing in the future. It is dependent on frequency and duration of use, but there will be recommended review dates for different cushion types. For example foam may need to be checked every 3 months for ‘bottoming out’; whereas air may need to be checked daily to ensure it is inflated to the correct level.